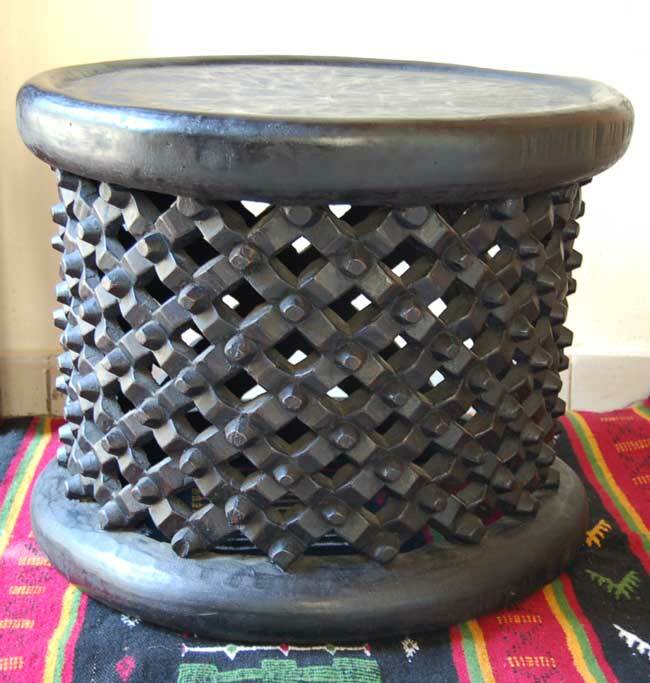 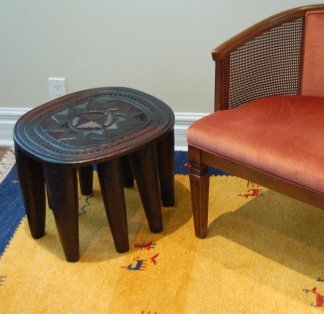 Authentic, solid wood Bamileke stool / side-table. 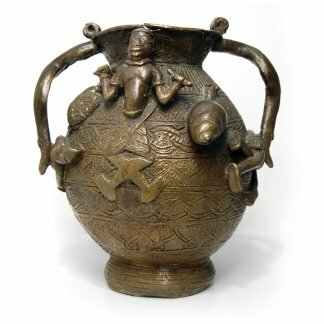 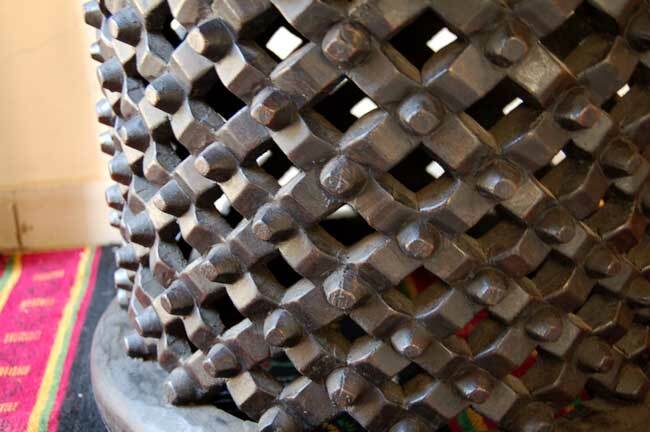 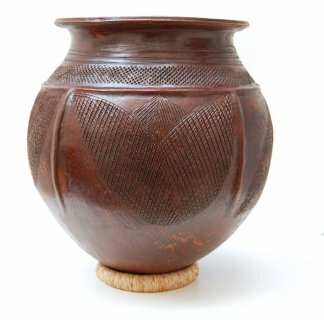 Hand-carved in Cameroon. 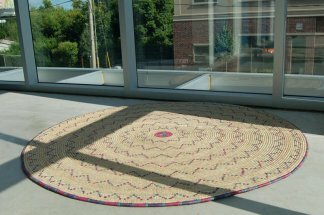 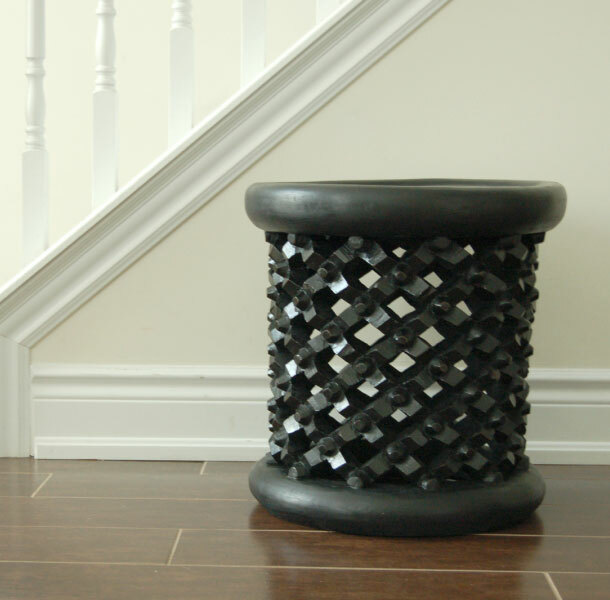 Perfect for modern global interior decor. 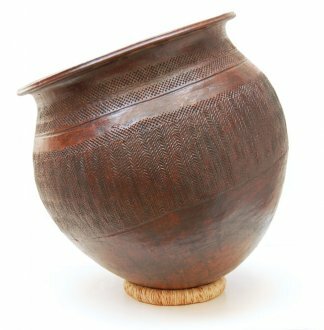 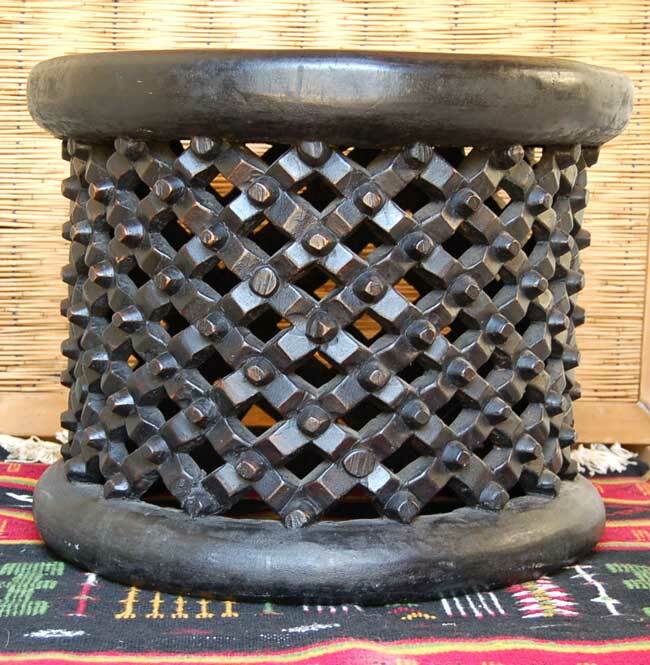 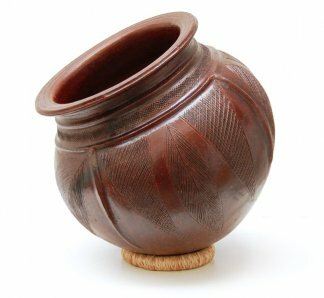 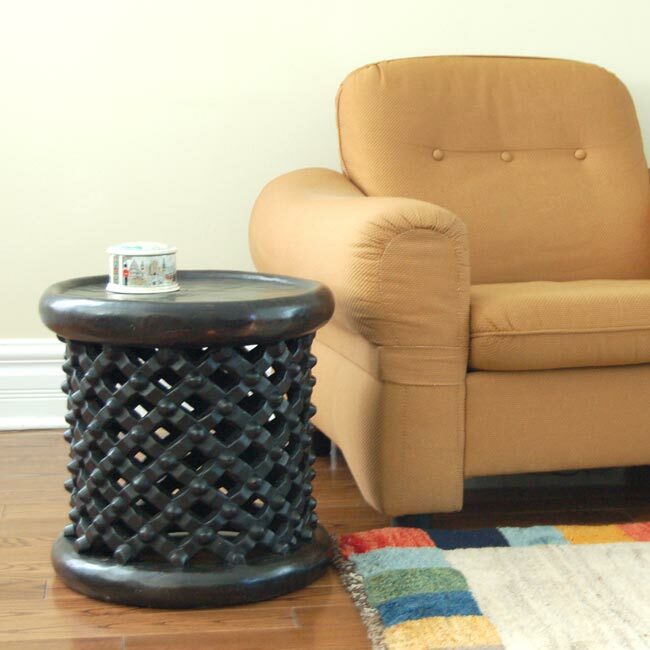 Large Bamileke stool, intricately hand-carved from a single chunk of wood in Cameroon. 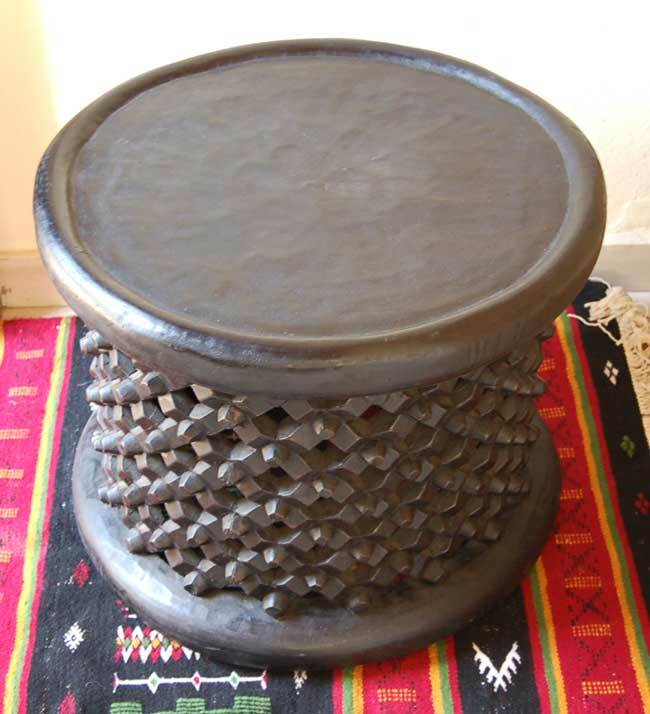 Referred to as “king’s stools” because in the past, the most elaborate stools belonged to important chiefs and accomplished individuals. 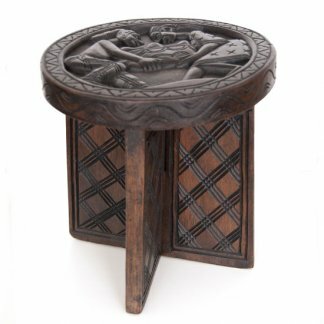 These stools, with their richly textured carvings, are the perfect accent piece for the living room, bedroom or den. 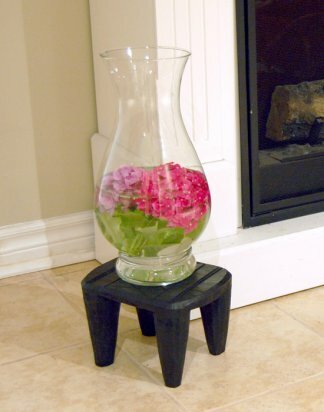 They easily add an additional element of sophistication to any space.